Mark van Dam is continually developing his lessons to obtain maximum health benefits by creating an optimal balance between varied Meditations, Chi Gung and Tai Chi exercises. Teaching since ’96, he found that many of his students in our fast paced western world seek immediate benefits. That is certainly possible in his group and (semi) private lessons available around Cork and County. Of course the more one practises, the more results are achieved! Symptoms improve with qigong. Listen to Joe explain how he finds pain relief, more sleep and increased energy. * Tai Chi and Qigong (a.k.a. Chi Gung or Ki gong) comprise of many gentle exercises for the whole body suitable for young and old. * The movements are widely known for their health benefits, achieved through the unobstructed circulation of highly oxygenated blood and energy around our body. * Learn a 15 minute routine to de-stress, prevent illness and invigorate your mind and body. * These simple Tai Chi and Qigong movements are easily learnt in a few lessons. To obtain their benefits, join our lessons and click here. Cleared her sinusitis. Replenished her energy levels. Is now balanced and “flowey”. Uses Meditations to clear stress. Relieved her aches and pains. * Tai Chi and Qigong are practised for improving ones health through relaxation, concentration, mind/body co-ordination and calming ones mind. I.E. Its great for de-stressing. * Mark also records the live meditations during the lessons, they are free for my students and on sale here. * Tai Chi and Qigong exercises strengthen and straighten the back, relieve tense shoulders, lower high blood pressure. The exercises combat addiction, arthritis, asthma and nervous disturbances and improves the quality of sleep. * Most of the beginners feel their life-force (Chi) energy by the end of their first lesson and everyone is guaranteed to feel some of the Qigong benefits. After an initial short term of daily practise, these relaxing, tension warding Tai Chi Chuan and Chi Gong exercises makes one feel replenished with energy. * Most of my meditations are original and have been perfected during my lessons over many years. They are about breathing, focusing on deeply relaxing the muscles and organs. Using the ancient technique of mindfulness we release tension in the muscles and let go of thoughts that may be running around our mind. There are samples available online here. Symptoms have been greatly improved by practising Tai Chi, Qigong and Meditation. Her balance and even her eyesight have improved, too. * Qigong exercise also speeds up the recovery process for sport or illness simply by increasing oxygen uptake in the blood through light exercise and correct breathing techniques. It increases blood circulation and releases tension. * The benefits of meditation mixed with gentle stretching Qigong exercise improves blood circulation and well-being. * Qigong shows you how to have a constant reserve of mind and body energy available, you will need less sleep. * More than 120 million people all over the world practise Chi Gung. 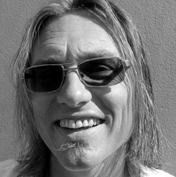 * Mark van Dam, born 1960, has over 25 years experience in Tai Chi, Chi Gung, Mindfulness and Meditation. * Some of it’s objectives are to achieve strong resistance to illness, improve the concentration, and obtain physical fitness and a more agile body. Qigong is good for golfers! I sometimes suffer from a lower back that just locks up for no apparent reason now and again. About 2 weeks ago playing golf it happened again 2 holes in. At this stage I had done about 4 lessons with you. I stood up at the 3rd hole and while the other lads where hitting off I closed my eyes put my hands on my lower back and started to do some of the breathing exercise and visualisation of heat and healing light enter my lower back. It was my turn to hit off and I did so still a bit stiff. I carried on doing breathing and visualisation as I was walking between holes. To make a long story short my back started to loosen out and I finished all holes. Before I would have had to stop and go home. I feel what I learned in the classes really helped and has taught me to be more aware of my own body and how it can heal itself. I am really enjoying chi gung. I practice at least once daily and have found an improvement in my energy and a consistency in my overall mood as more positive and grounded. I have been attending Qigong classes for almost a year now and have found that my overall health and fitness have greatly improved. I spend between 5 to 10 minutes most mornings upon waking doing some basic Qigong exercises, stretching and focusing on my breathing and find it really sets me up for my day by energising my body and mind. I include in my daily routine 50 or more face rubs which help to keep my sinuses clear. I have suffered from sinusitis for many years and have tried lots of lotions and potions to alleviate the symptoms and usually end up on antibiotics each winter. Now I don’t use anything other than face rubbing and and so far so good this winter, no medication, no headaches and no stuffy nose !!! I love attending my weekly class with Mark who has thought me so much about how my body works, how to manage stress and pain through proper breathing and the weekly meditations are great for relaxing and finding that inner calm.